OXFORD Dictionaries recently announced its 2016 word of the year and the winner was “post-truth”, as in “we are now living in a post-truth world”. It’s not hard to see where they’re coming from. It’s hard to tell whether Mr Trump seriously believes what he tweets or is just saying what he thinks will appeal to his supporters at the time. As for any implications for future US policy on public health or climate change, that’s anyone’s guess. In any case, he is hardly the only political figure in recent times to make extravagant claims with little regard for evidence and then shrug off challenges, as though the truth is just an inconvenient barrier in the way of a good soundbite. One of the foundations of the pro-Brexit campaign in the UK in 2016 was the claim that European Union membership was costing Britain £350 million a week, money that campaigners said could be redirected to the National Health Service. The day after their win at the polls, leaders of the Vote Leave campaign casually, and without apparent shame, acknowledged that there would not in fact be an additional £350 million to spend on the NHS after Britain left the EU. Manipulation of information by politicians or other vested interests is not new: that prototype of the political strategist, Niccolò Machiavelli, acknowledged nearly 500 years ago that people admired princes who kept their word, who acted with integrity rather than cunning. A number of our contemporary princes would no doubt agree that, if you want to get anything done, you shouldn’t bother too much about promises or bothersome ideas about truth and evidence. In the post-truth world we apparently now inhabit, the Machiavellian approach has received a boost from the growing suspicion in some quarters of anybody who claims specialist knowledge in a particular area. “People in this country have had enough of experts,” senior Tory politician Michael Gove said in 2016, dismissing a request to name any economist who supported Britain’s exit from the EU. People who’ve spent their working lives studying and developing their expertise in a field seem to be increasingly seen as compromised by that very effort. The climate scientist is portrayed as having a vested interest, not the lobby group funded by the coal industry. Doctors advocating for vaccination are portrayed as corrupt, while those spruiking homeopathic “vaccines” are somehow seen as untainted by commercial motivations. Part of the problem is that, while our information age brings us great riches, it also increasingly allows us to live in a world of our own making, an echo chamber where we only encounter views we already agree with. Social media delivers us the information shared by our like-minded friends. Search engine algorithms provide personalised results, based on our previous browsing history. If you spend your time on anti-vaccination sites, a Google search for “vaccines autism” will take you straight to the conspiracy theorists, not the US National Institutes of Health or the Medical Journal of Australia. Internet activist Eli Pariser calls it the “filter bubble”, and it allows each of us to stay snug within our own personal “truth”, immune from external challenge. That’s dangerous for public health, for a tolerant and open society and for democracy. Truth has always been a slippery concept, as anyone who’s grappled with post-modern theory would know. One generation’s truth can easily become the laughing stock of the next. But that doesn’t mean it’s not worth trying. The pursuit of truth has been one of humanity’s greatest quests. Let’s not surrender it to the demands of a post-truth world. 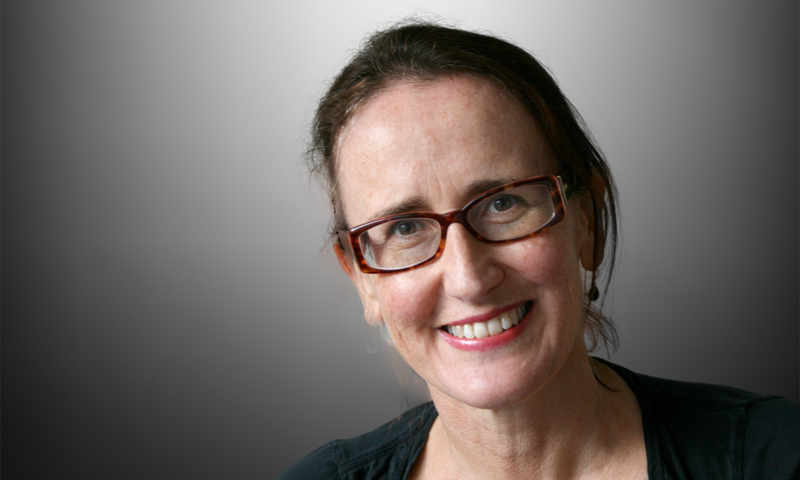 Jane McCredie is a Sydney-based science and health writer, editor and publisher. What is your favourite medical television series? Well, not to burst your bubble but the evidence is clear there is no global warming- it’s based on a ‘consensus’ of people many of whom are not scientists. We are on the brink of an Ice Age… that is a fact. The evidence is not clear that all vaccines are safe and efficacious. Read the Cochrane Collaboration to confirm this. This is yet another example of Eminence based opinion, not evidenced based conclusions. Jane, yet again your article would be more compelling if you did not deliberately cherry pick examples favourable to your personal political ideology (e.g., pro-EU, anti-Trump). For example, it is absurd to cite one example of pro-Brexit propaganda and deliberately neglect the myriad examples of anti-Brexit misinformation, such as the hysterical claims that Brexit would spark a trade war, a run on the Pound, and economic catastrophe — all clearly false. Similarly, there are many examples of pro-Clinton misinformation that were uncritically reported by journalists (e.g., the accusation that “Donald Trump called all Mexicans racists and killers” — a word-for-word quote from a CNN journalist, who blatantly and maliciously misquoted what Trump actually said). This article says a lot about Jane’s personal political ideology, but very little about truth in the media. Are any MJA Insight readers actually interested in Jane’s personal political beliefs? And if not, why do the editors keep giving her a forum to express her political views? Having had post-modernists tell us for years that there is no objective truth, it is now a little hard to try to claim the high ground. Trumpism, Brexit and Hansonism are all a backlash from people fed up with being told what the truth is and what they should believe, by people who are not like them and who have disdain for them. ‘Post-truth’ is a term invented by the disdainers who can’t quite accept what democracy has thrown up and who lament that the great unwashed didn’t just take their medicine as advised by their betters. The previous correspondents are missing the point. The post-truth concept is legitimate. And Jane provides excellent examples thereof. Her list of examples is not exhaustive and Marcus provides additional examples..
John, the previous correspondents are not missing the point. When the author deliberately cherry picks “post-truth” examples from one side of politics only, you can’t blithely dismiss that as completely innocent by saying “her list of examples is not exhaustive”. The fact is that the author of this piece took a potentially interesting topic (lack of truth from the media) and wasted it by instead writing a column expressing her personal political views. It is only right that she has been called out on that. The correct place for political opinion pieces is the Sydney Morning Herald or The Australian, not a medical journal.